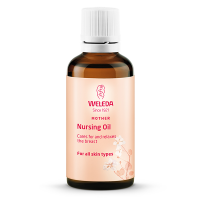 The blend of organic herbs like aniseed, fennel, caraway and lemon balm in Holle Organic Nursing Tea/Breastfeeding Tea has been carefully chosen and is said to increase and support milk supply, especially towards the end of pregnancy. All ingredients come from certified organic agriculture and meet Holle's stringent quality standards.Holle Organic Nursing Tea/Breastfeeding Tea should be taken towards the end of pregnancy and throughout breastfeeding. 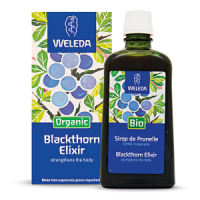 Holle recommends drinking 3-6 cups a day. 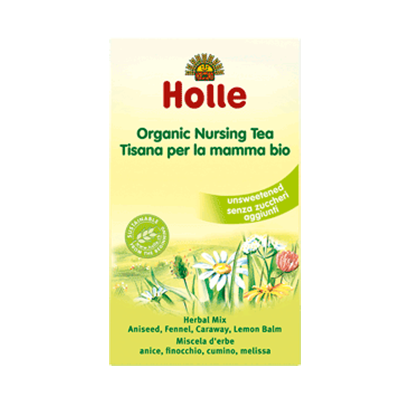 Holle Organic Nursing Tea/Breastfeeding Tea should be taken towards the end of pregnancy and throughout breastfeeding. Holle recommends drinking 3-6 cups a day. Pour approx. 200ml of freshly boiled water over a tea bag and allow to infuse for 5-10 min. Remove the tea bag and allow to cool down before drinking. I ordered the trial trio to ensure it does not only taste of fennel like most breastfeeding teas do. I really enjoyed the trio of nursing tea bags included in my order. They helped me to unwind which is essential with 2 little ones. I am breastfeeding my 13 month old and often during the night at the moment so these might help to keep my supply where it needs to be... plan to order more. I drink almost everyday because is so tasty. Received the tea bags as expected. Tea tastes nice too!